Every spring, I get motivated to do the health. I rarely spoil myself, but when I do, I splurge on something very un-indulgent, like a Fitbit. I figure now that I’m 24, I should really start getting my life together. Fitbit users really seem to have their lives together. Although it’s spring, I am still freezing my toes off. I picked up a bunch of ingredients to make turkey chili on this chilly morning, and I decided to try using a crock pot for the first time. Crock pot users really seem to have their lives together. 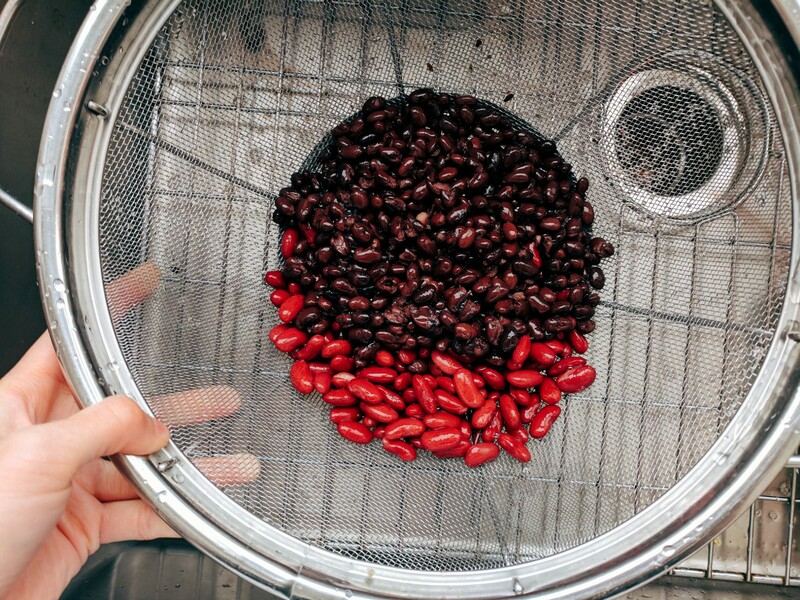 I prepped by draining and rinsing a can of black beans and a can of kidney beans. 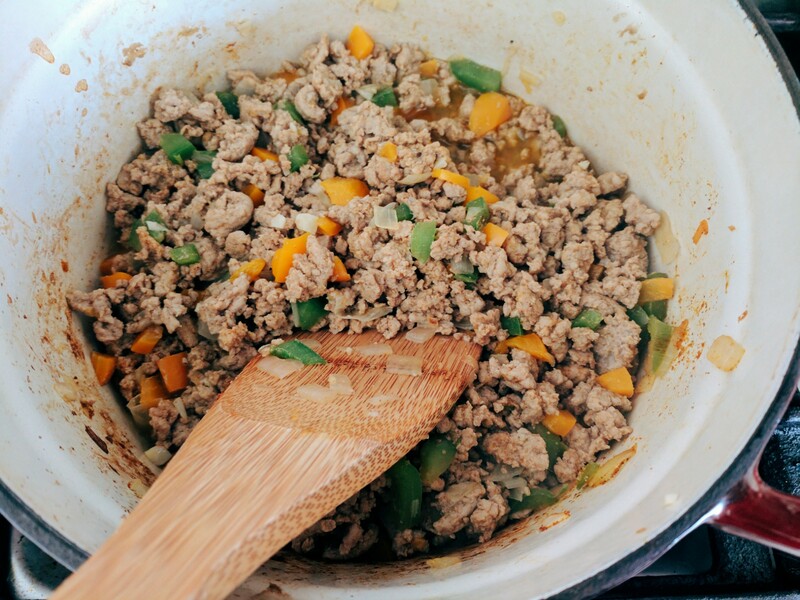 I cooked half of a white onion, three cloves of garlic, two bell peppers, and lean ground turkey on the stove. I tossed in massive amounts of chili powder, cumin, paprika, salt, and pepper. I turned the crock pot on high and dumped in half a carton of low sodium chicken stock, a can of tomato puree, a can of diced tomatoes, and all of the canned beans. Cans, cans, cans. I added the turkey and veggies into the crock pot. 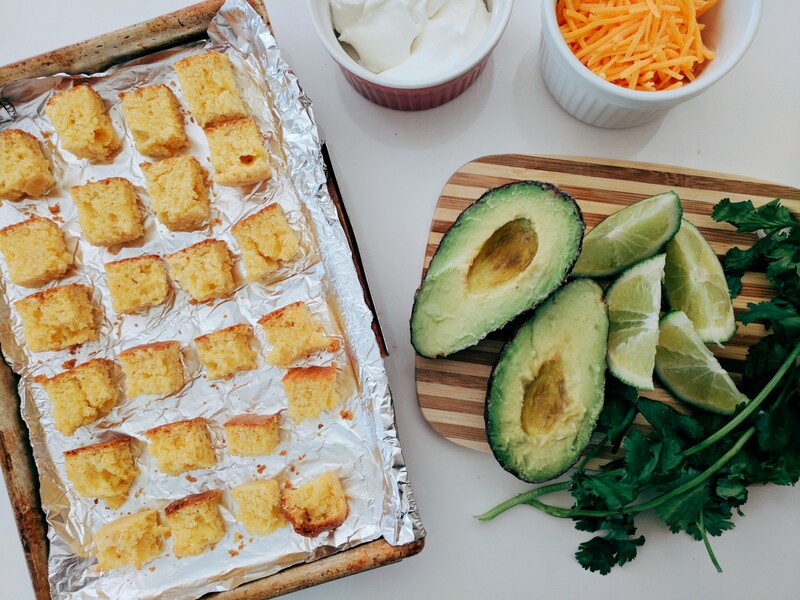 In the meantime I made cornbread, cubed it, and toasted them to resemble croutons. After two hours of anxiously waiting for the crock pot to work its magic, nothing was happening and I gave up. I definitely do not have the patience to use a crock pot. 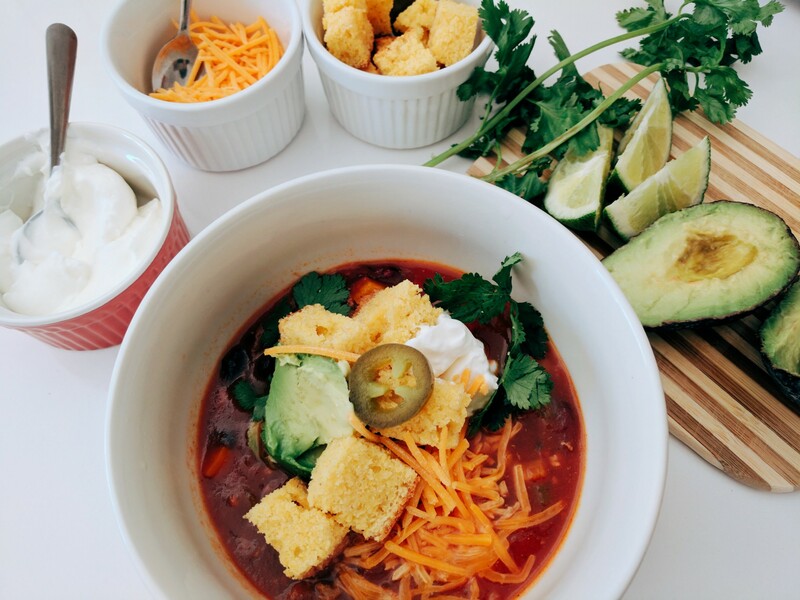 I served the relatively healthy chili with a load of relatively unhealthy toppings: cheddar, cornbread croutons, sour cream, avocado, lime, and cilantro. 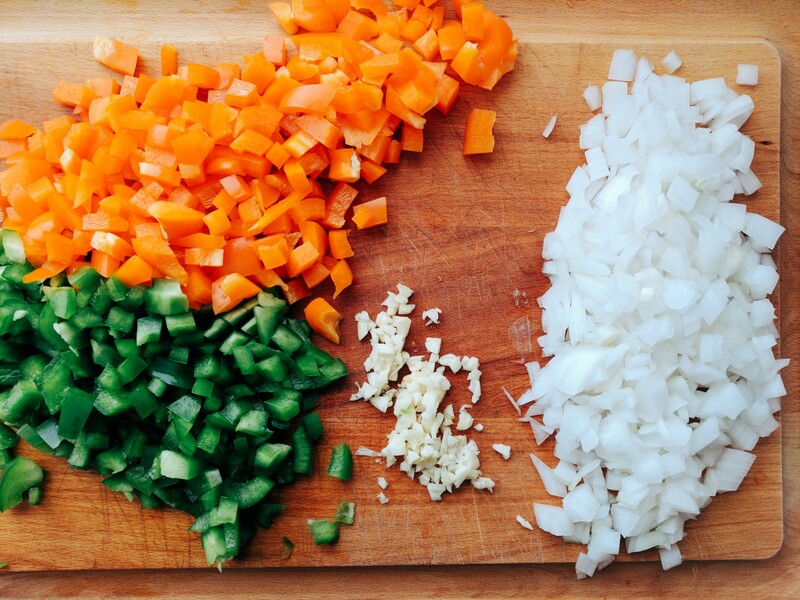 The chili itself is high in protein, high in fiber, low in fat, and low in effort. Some days I stay in bed and watch 6 episodes of The X Files. Some days I buy a Fitbit and cook turkey chili in a crock pot.